With less than four years to go until the 2022 World Cup, the Qatari authorities risk falling behind on their promise to tackle widespread labour exploitation of thousands of migrant workers, Amnesty International said today. In a new briefing, “Reality Check: The state of migrant workers’ rights with less than four years to go until the Qatar 2022 World Cup”, the organisation examines Qatar’s high-profile reform process and reveals how much work the authorities still need to do to fully respect and protect the rights of around 2 million migrant workers. “Time is running out if the Qatari authorities want to deliver a legacy we can all cheer – namely a labour system that ends the abuse and misery inflicted upon so many migrant workers every day,” said Stephen Cockburn, Deputy Director of Global Issues at Amnesty International. Amnesty International is calling on Qatar to fully abolish the abusive kafala sponsorship system which, despite a few recent changes, continues to tie workers to unscrupulous employers for up to five years. In November 2017, Qatar signed an agreement with the UN International Labour Organisation (ILO) to revise its laws in line with international labour standards. Since then, the authorities have passed several pieces of legislation aimed at benefiting migrant workers, including introducing a temporary minimum wage, introducing a law for domestic workers, setting up new committees to address labour disputes and establishing a workers’ support and insurance fund. The authorities also ended the requirement for employees to obtain an “exit permit” requiring their employer’s permission to be able to leave the country for most migrant workers. 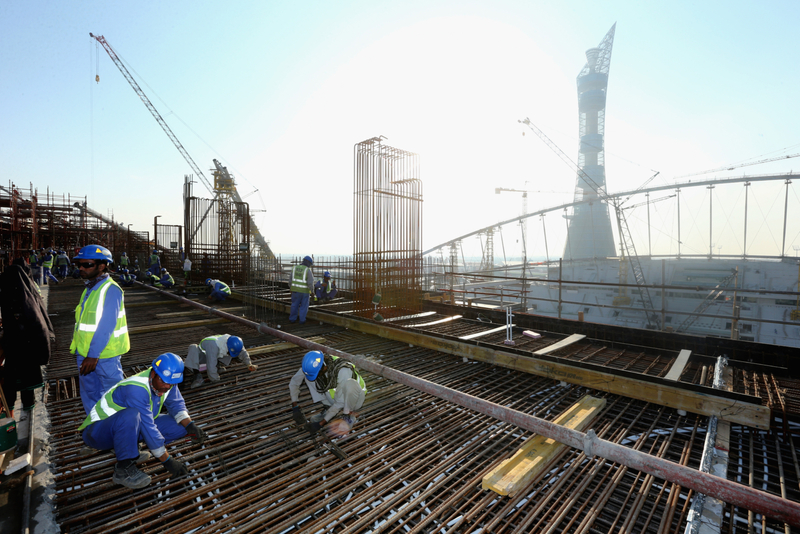 However, limitations in some of the reforms introduced so far mean many migrant workers in Qatar are still at risk of forced labour, restrictions on their movement and other abuses. Under the kafala system, which remains firmly in place despite partial reforms, workers still cannot change jobs without their employers’ permission. They face criminalization for ‘absconding’ and risk having their passports confiscated. The temporary minimum wage is just over $200 per month, while new labour courts intended to tackle cases of abuse including non-payment of wages are overwhelmed with cases and hundreds of workers have returned home without justice or compensation.